Whitley Bay Rockcliff RFC held its 13th ten-a-side tournament, with 16 local and touring clubs taking part. 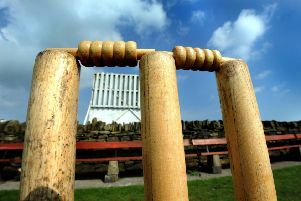 The touring clubs were Harris and Linlithgow from Scotland, Wigton, and London side Grasshoppers. Local sides were Northern, Novocastrians, Gosforth, Morpeth, West End, Cullercoats, and Rockcliff, with a scratch Barbarians side balancing the competition. After an opening round of eight games, the winners progressed to the Cup competition and the losers into the Trophy. The Trophy competition final was contested between Gosforth and Cullercoats. After losing 24-7 to Northern B in the first round, Gosforth had progressed to the final after beating Rockcliff A 15-7, and then in the semi-final a drop-kick decider was needed after they drew 7-7 with Harris. Gosforth edged it 3-2 and progressed to the final. Cullercoats started with a 14-5 defeat to Linlithgow, but then they overcame Wigton A 21-0 and then Wigton B 17-0 to make it through to face Gosforth. The final was fiercely contested, with an opening John Coffey try for Gosforth being matched by an impressive score by Simon Ayre. Anthony Graham and Adam Bell scored further tries to edge Gosforth into a 15-7 lead, and then Cullercoats had a man sent off for stamping and the Green and Whites took advantage with Coffey scoring and converting the final try of the match and giving manager Joe Woodhams a 22-7 win and the Trophy. The Cup final was played out between Morpeth and Northern A. Northern A had progressed following a narrow 15-14 first round win against Harris. A 19-12 win against Novos Undateables saw them into the semi-final against Novos PPR, which they won 29-0. Meanwhile Morpeth progressed against Wigton A before despatching of Linlithgow 19-0 in the opening round of the Cup. In the semi-final they faced Grasshoppers and won 21-5. The final itself was a one-sided affair and Morpeth romped home 50-0. The Spirit of the Tournament Trophy went to Grasshoppers as they best embraced the tournament ethos of ‘Fatter, Dafter, Thirstier’, although Harris gave them a good run for their money. Player of the tournament was Morpeth’s Tom Manley.